In the words of William Shakespeare, “music hath charms to sooth a savage beast, to soften rock, or to bend a knotted oak.” In writing about the power of music, the poet implied its unique character among the arts and, indeed, among achievements of humankind. Music is arguably the purest articulation of the human spirit ever achieved and, as such, it is not only a treasure to be cherished and shared by all people but an unsurpassed medium of communication as well. For these reasons, Bayshore Christian School believes that an education in music and performing arts is essential to the development and well-being of each child. 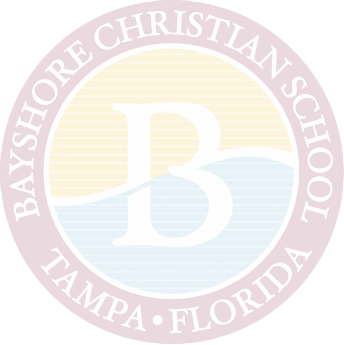 Bayshore Christian School is blessed to have Mr. Fernando Valdivia as the new director of performing arts. Mr. Valdivia brings more than ten years of experience as a teacher and more than thirty years as a performer. His main goal is to inspire the Bayshore Christian Community through his passion for the performing arts. Mr. Valdivia believes that with the right approach and individual attention to his students, he can bring out the best in them. Mr. V's students have the opportunity to thrive, both on and off the stage, as they explore the vast performing arts universe. In addition to student-led praise and worship teams in weekly campus chapel services, BCS students have the opportunities to participate in band, chorus, community performances, and annual musical productions. 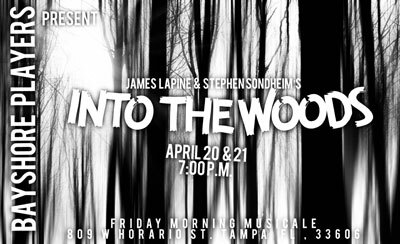 Under the direction of Mr. Valdivia, BCS performing arts students bring Broadway to Bayshore! Students in grades 3 through 6 presented Annie, Jr. in the fall of 2015 and Seussical the Musical in the fall of 2016. Students in grades 7 through 12 presented High School Musical, On Stage during the spring of 2016 and West Side Story in May of 2017. Last year was another banner year for BCS musical productions. 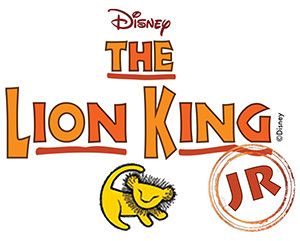 In the fall of 2017, BCS students in grades 2 through 6 presented The Lion King, Jr., followed by a spring production of Into the Woods by our students in grades 7 through 12. The 2018-2019 BCS Broadway season promises to be another smashing success! Students in grades 1 through 7 will present Mary Poppins, Jr. on November 2 and November 3. Tickets are on sale now through our shopping cart. This spring, BCS upper division students will present Sister Act. Stay tuned for updates on the Bayshore Players! In the kindergarten music program, we aim to prepare our students using the introduction of music dynamics and singing. Students reproduce simple rhythmic patterns and learn the difference between melody and rhythm. Rhythmic and melodic instruments help develop aural skills and prepare the student for basic Solfège. In the 1st grade music program, we continue to train students in choral speaking and singing. Students regularly enjoy the activity of reproducing simple rhythms, and their use of percussion instruments, especially unbarred instruments, increases. We introduce two and three-part speech patterns and transpose them to instruments. We also introduce reading and writing of simple rhythmic patterns. In the 2nd grade music curriculum, our students continue with and further develop exercises begun in 1st grade to further develop rhythmic speech, choral speech, and group singing. Students learn to read and play the major scale of C on the recorder as well as simple music written in that key. In 3rd grade, students continue to develop skills in percussion, choral speech, and singing. In this course, we introduce music appreciation—music that tells a story (e.g., Til Eulenspiegel, La Boutique Fantastique). Students become familiar with some important works and learn to associate particular music with the story. We include information about the composers of these works. Students continue to develop technique in choral speech and singing through a variety of vocal exercises and grouping. Class exercises continue to include percussive instruments when the teacher deems it helpful. In the music appreciation component of this course, we focus on the symphony orchestra and symphonic works of major composers. The 5th grade music and performing arts program features increasing sophistication in choral speech, acting, and singing, with considerable time spent preparing for the choral and dramatic presentations (two per year). In the fifth grade, we take a more comprehensive survey approach to music appreciation than we do in earlier grades. We encourage musical sensitivity and creativity through project assignments, including the integration of creative writing into the music curriculum. The 6th grade song literature includes music for changing voices. We choose choral speaking passages for contrasts in tonal color and diction. The sixth grade course continues music appreciation with the exposure to composers from around the world, emphasizing American composers. We introduce students to the opera. The drama part of the curriculum expands its genres, adding the study of comedy and tragedy. The 7th grade program continues the survey of classical music, with a greater depth of focus on the lives and works of selected composers. We continue the exploration of the world of opera through the study of two selected works. Our students receive an overview of Medieval and Renaissance music. Choral training includes madrigals. Additionally, students have the opportunity to explore music technology and the introduction to digital music recording. We give our 8th grade students an overview of the major forms and styles of classical music. Song literature includes English Renaissance music. The 8th grade program rounds out the introductory survey of opera that was first introduced in the 6th grade. In addition, students develop a deep understanding of all the most important acting techniques. The music technology curriculum expands and prepares our students for high school. High school students have the opportunity to experience a college level music and performing arts program. Students review all forms of music, including music history, appreciation, creation, theory, and technology. 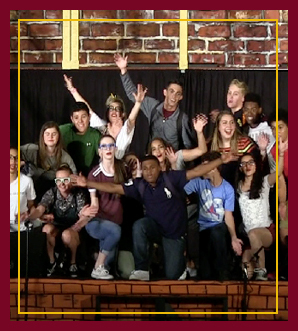 At the same time, students have the opportunity to master all major acting techniques and dramatic writing.